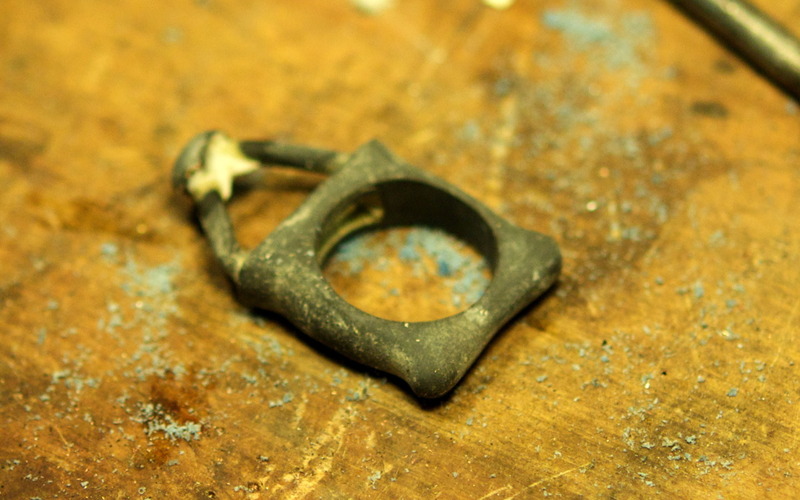 A cast ring begins with a block of wax. 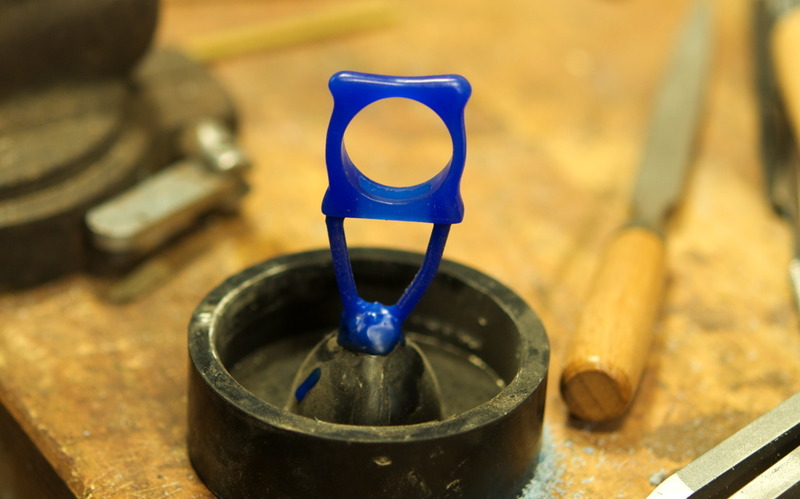 The first step is to saw, file, scrape, and sand the wax model to the shape of the final ring. 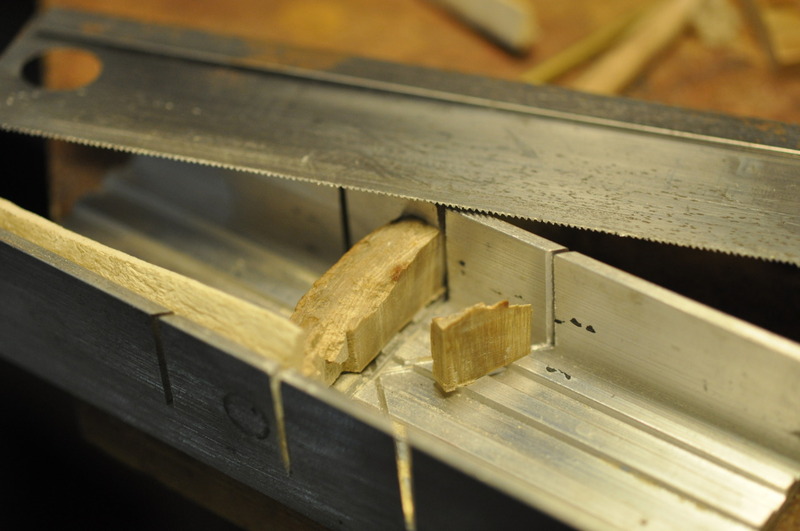 It starts out rough, but i know i can see the final piece just waiting to emerge. 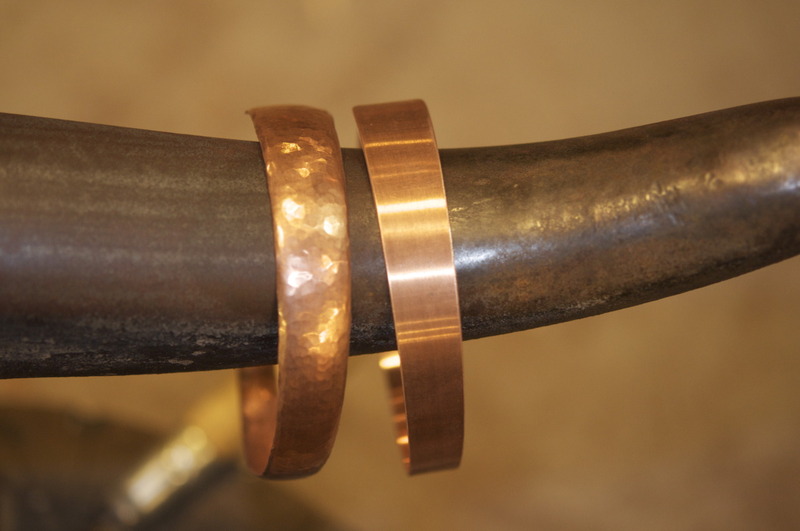 The new wax model next to original wax sketch for the ring. 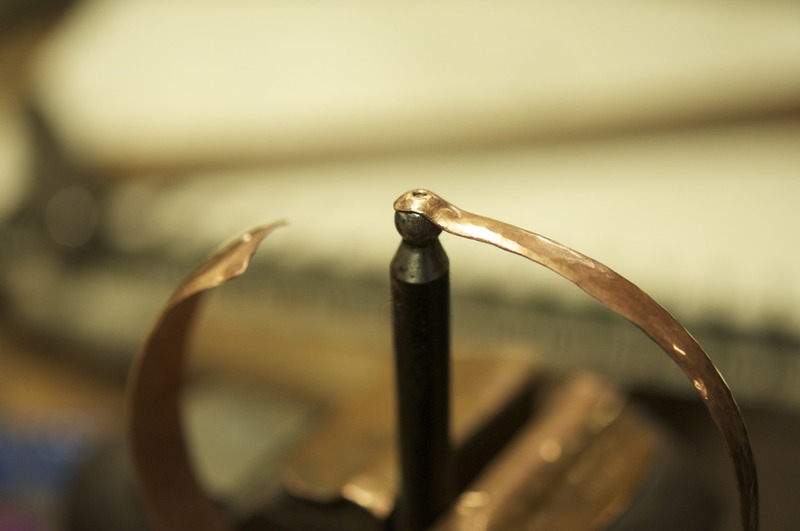 Two small sticks of wax are attached to the top of the ring. 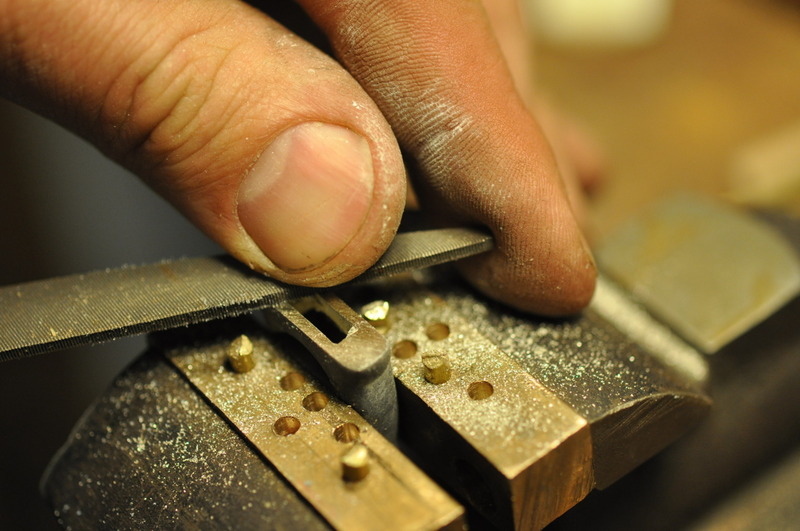 They are called “sprues” and become the channels that the metal is poured into. The sprues in turn are attached to a rubber sprue base and everything gets a final check. 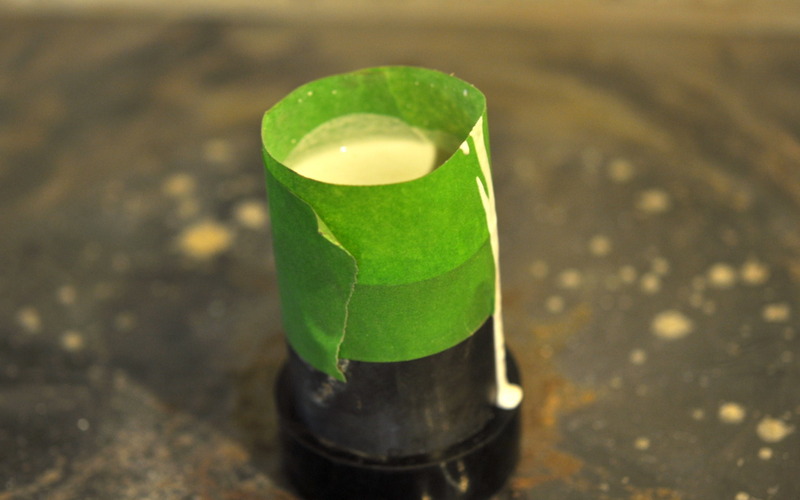 The wax model is placed in a metal “flask”. Once the whole thing is filled with investment plaster, this becomes the mold. The piece is entombed in high temperature plaster and awaits the burn-out. 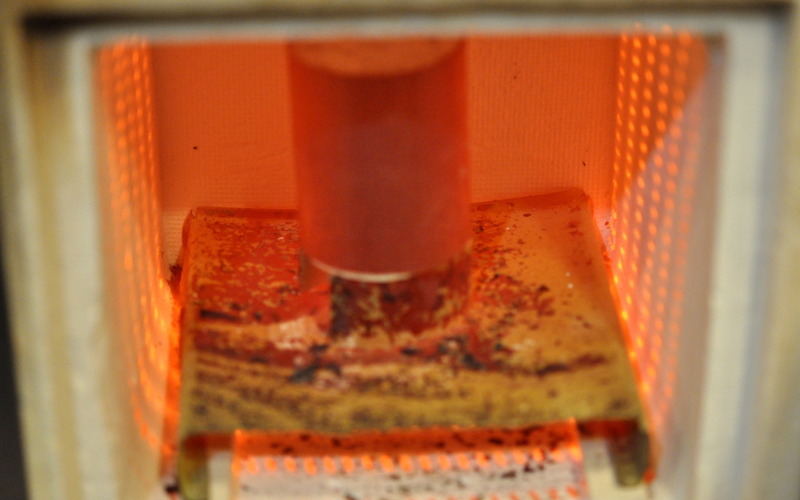 The investment mold being fired in my kiln. 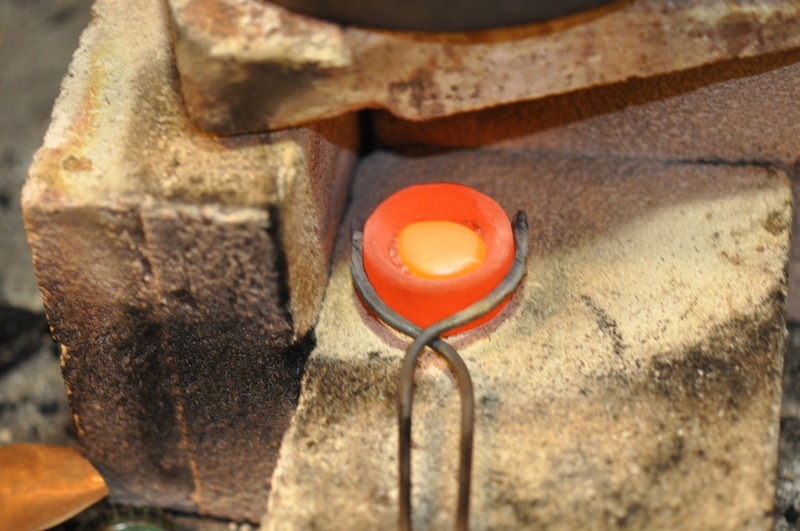 It’s called lost wax because the wax model is burned away and the metal is poured into the resulting void. 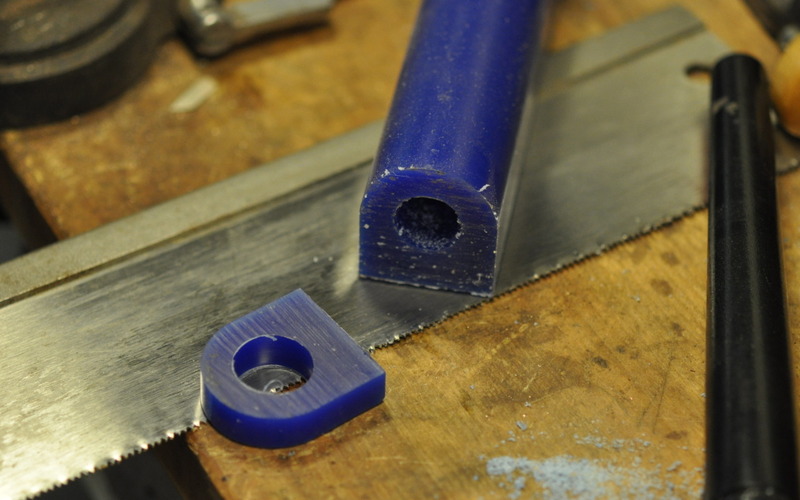 The raw silver casting with it’s sprue still attached. 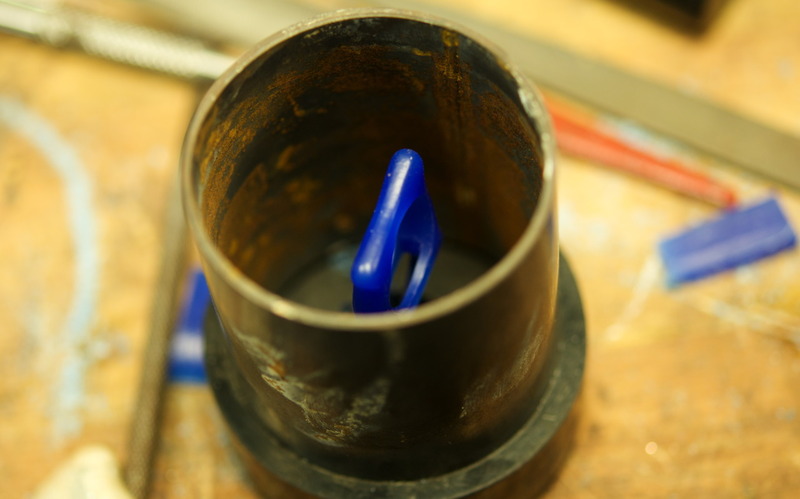 The casting is filed and sanded to a smooth surface, any imperfections on the surface are removed. 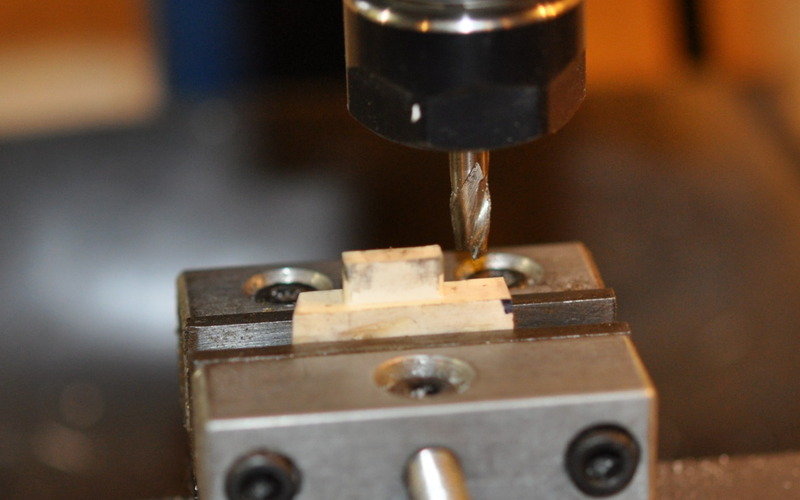 A small piece of fossilized mammoth ivory is chosen and sawn to rough shape. 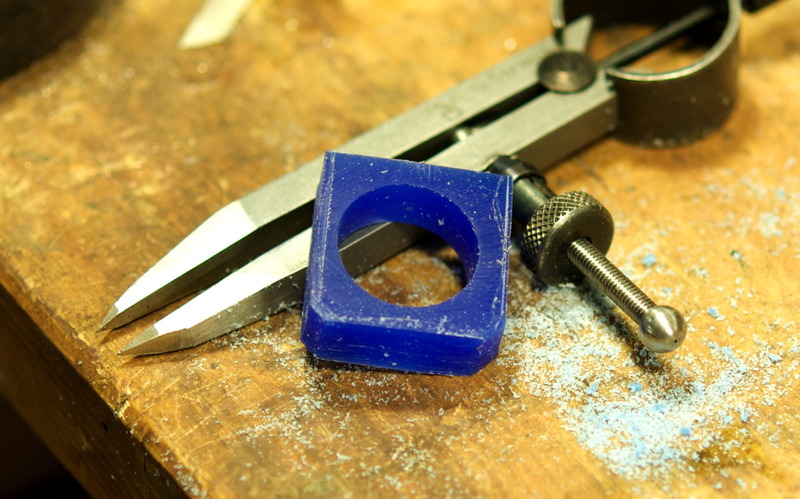 Hand filing the rough casting gets things close to final dimensions, but I use a small milling machine to “deck” the top surface of the ring where it mates with the ivory. 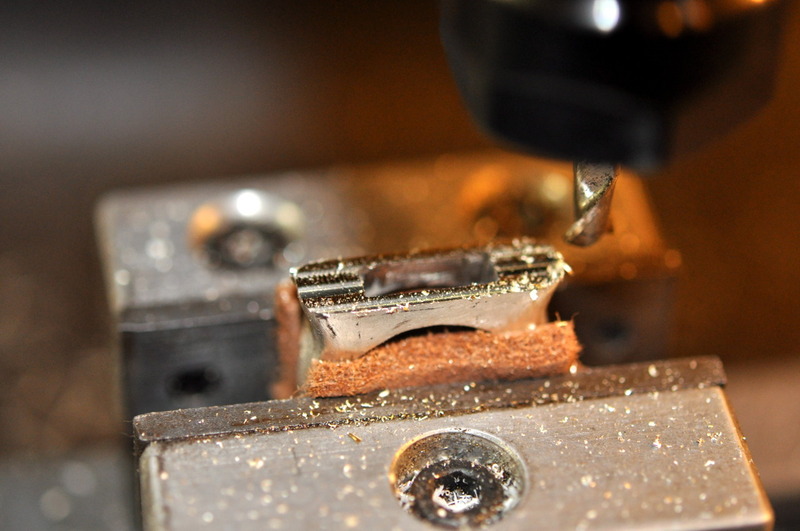 To create a perfect fit the mortise is also machined to tight tolerances. 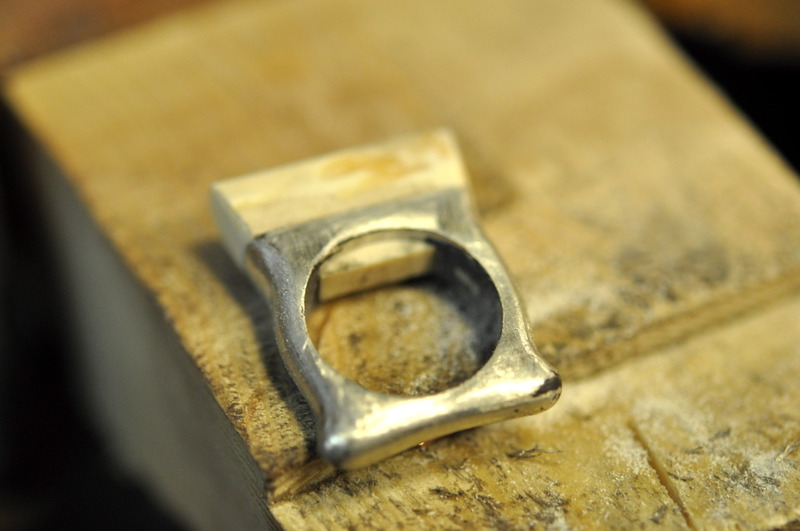 The ivory tenon fits the mortise in the ring like a glove and all of the major shaping has been accomplished. 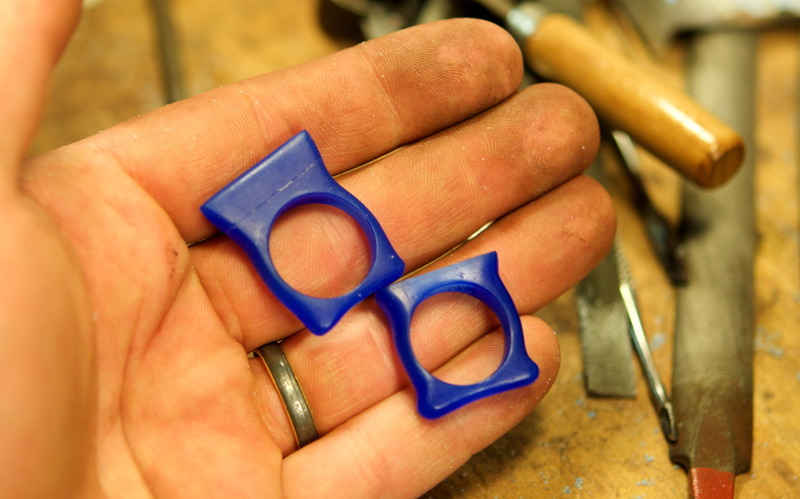 Once the two pieces are pressed into final position I can file the inside of the ring flush and smooth. 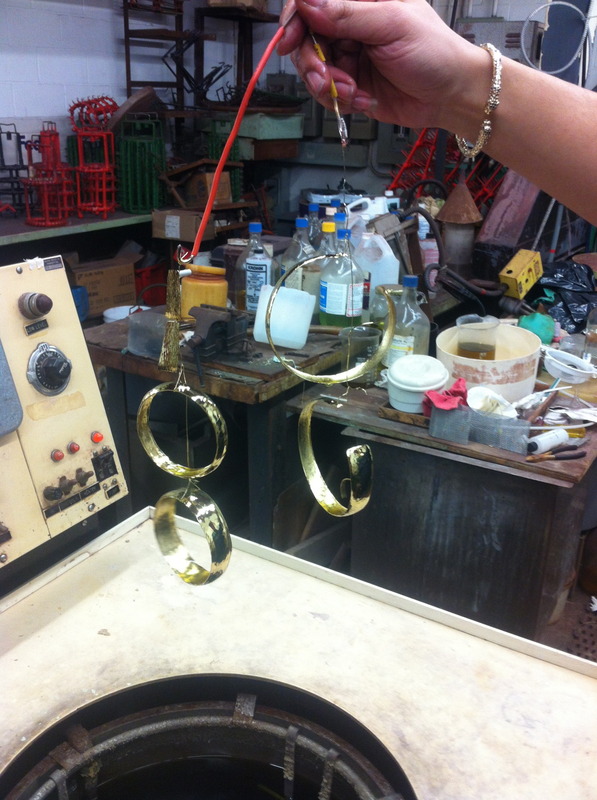 The last step will be a final polish by hand! 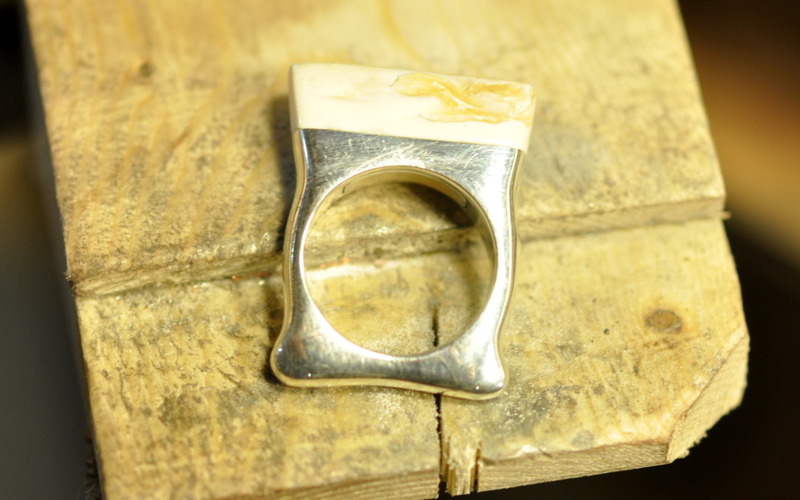 The finished Mortise ring in sterling silver and fossil mammoth ivory. 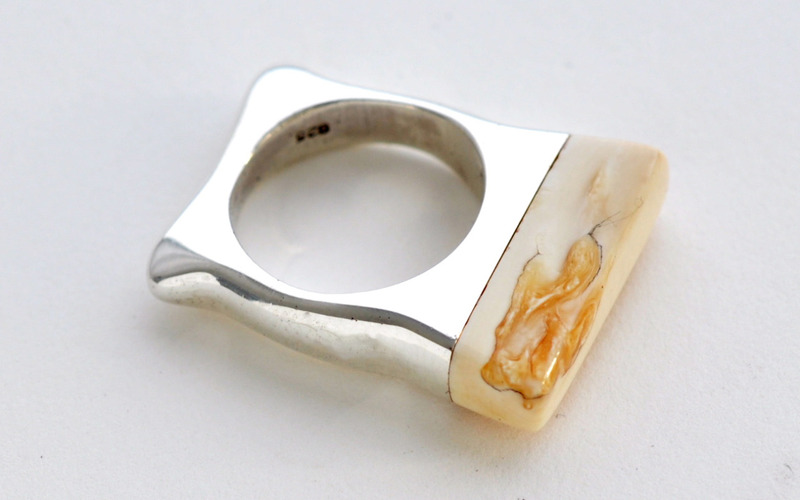 The shape is inspired by antique ivory rings from Southern Sudan. Now for the matching piece!